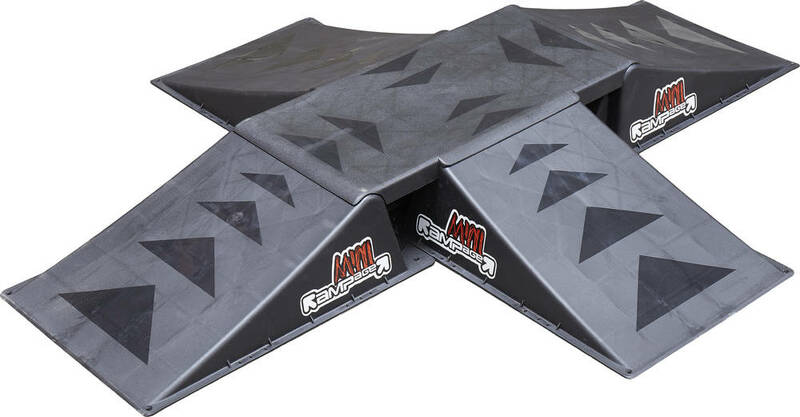 Rampage Fourway funbox is a lightweight, portable funbox. Nice for practicing at home or anywhere with your mates. Injection molded impact resistant polyethylene. Supplied with 4 single mini ramps and a connecting platform. The platform has thread mounted to it so you can attach the 4 ramps with the supplied wing nuts. We recommend using these ramps for beginners only.